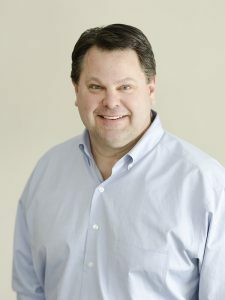 Born and raised in Forest Lake, Minnesota, Dr. Scott Timmons now lives with his wife, Alison, and their three children in Lake Shore, Minnesota. He earned a Bachelor of Arts degree from the University of St. Thomas with a focus on Finance and Entrepreneurship. He received his Doctor of Dental Surgery degree from the University of Minnesota in 1999. Dr. Timmons purchased Baxter Dental in 2006. Dr. Timmons has had extensive continuing education that focuses on full mouth rehabilitation, implants, and cosmetic dentistry. His hobbies include golfing, hunting, and spending time with his family on the lake. Dr. Justin Gangestad is a Brainerd, Minnesota, native. He graduated from Pillager High School and went on to receive his Bachelor of Arts degree in health science zoology from North Dakota State University. Dr. Gangestad joined Baxter Dental after earning his Doctor of Dental Surgery degree from Indiana University School of Dentistry in 2016. Dr. Gangestad enjoys the variety general dentistry has to offer and likes to provide comprehensive care for patients of all ages. In his spare time, Dr. Gangestad loves spending time with his wife, Meghan, and their two children. He is an avid outdoorsman, enjoying hiking, fishing, and hunting. He and his family are excited to be back in the land of 10,000 lakes.